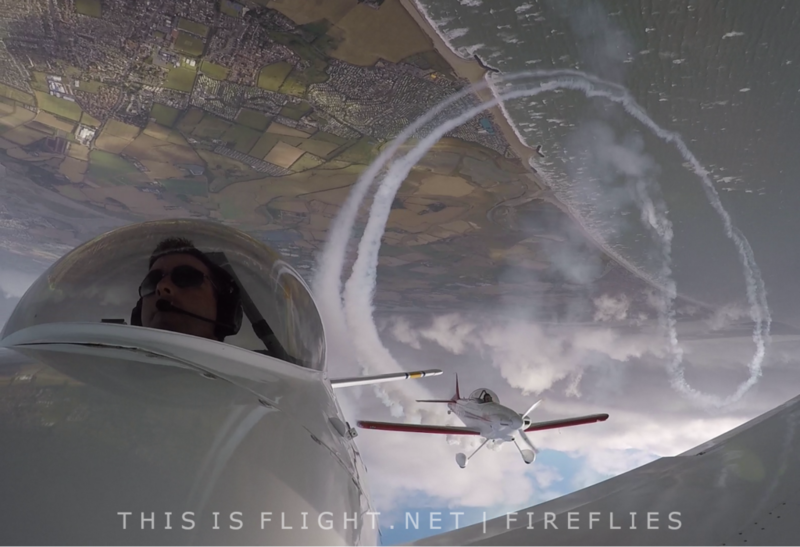 One of Europe’s newest aerobatic teams, the FireFlies, were formed by experienced pilots Jon Gowdy and Andy Durston to perform stunning daytime and pyrotechnic pyrotechnic displays across the continent. 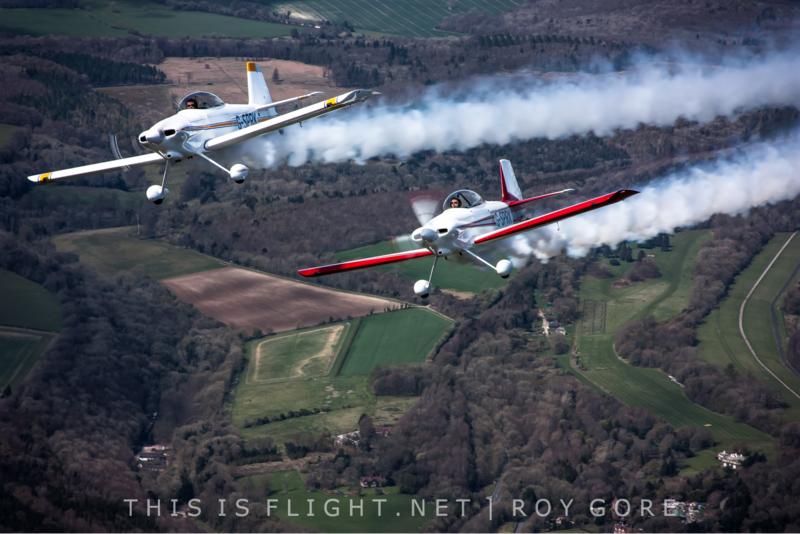 In April 2016, This is Flight had the chance to meet the team at their base – a beautiful grass airstrip nestled deep in the rolling Sussex hills – to discuss exactly how and why they decided to set up a new aerobatic team. “I had a real hunger to start my own team and not long after getting to know Andy, I realised we shared that ambition and both brought several years of display flying to the mix,” explained Jon. 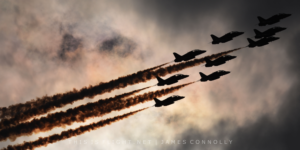 “I’ve been displaying now for fifteen years having started off with Air Atlantique flying full time with their Classic Flight and latterly with the Twister Duo with Pete Wells. 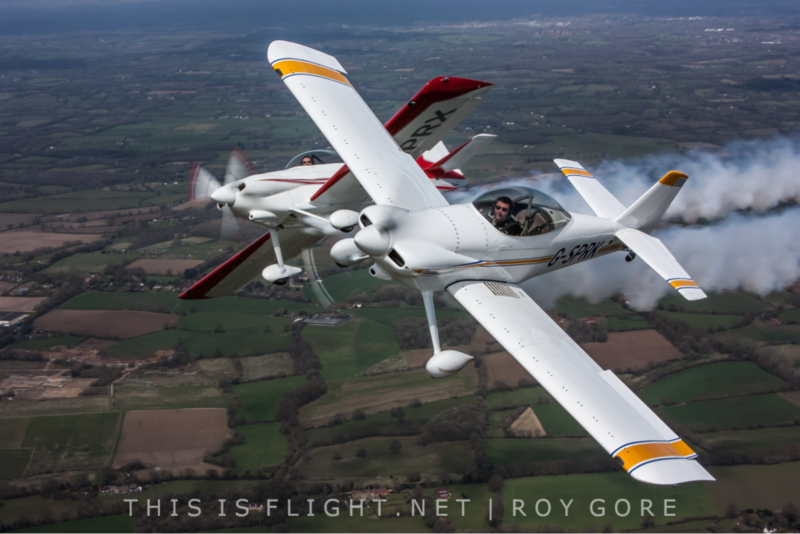 So now we had the foundations of a team we needed to find the right aircraft.” Jon and Andy selected the Vans RV-4 as their aircraft of choice: with its powerful engine, high cruise speed, low operating costs and short-field performance, the tiny kit-built plane “seemed to fit the bill”. 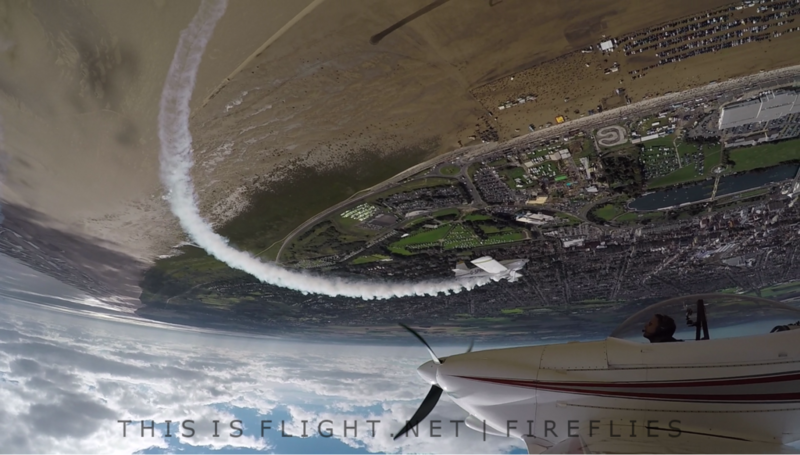 But as with any airshow performance, one of the greatest challenges comes from the unpredictable Great British weather. As the lead pilot, Jon needs to alter each manoeuvre to account for wind conditions while carefully considering how these changes could affect his wingman. 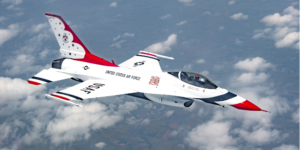 To help prepare for the conditions on the day, both pilots will perform a walk-through of their routine to picture how conditions will affect the display. The weather also hinders Jon and Andy from rehearsing their display during the winter months, so they take the opportunity to work on the aircraft and ensure they are ready for the following airshow season. “I think we’re really getting to the point now where we’ve developed a fantastic flying relationship,” said Andy. “I think we gel well, and we’d like to just continue improving that and developing the display we’ve got to a really high level. In terms of other aircraft, I don’t think we’ve got any desire at the moment to bring a third aircraft into it, as it results in a significant amount of complexity.” The two-ship display formula is evidently one that works, as the team have enjoyed a successful first two years, including displays in Poland and at the UK’s two largest airshows in terms of attendance, Bournemouth and Eastbourne. 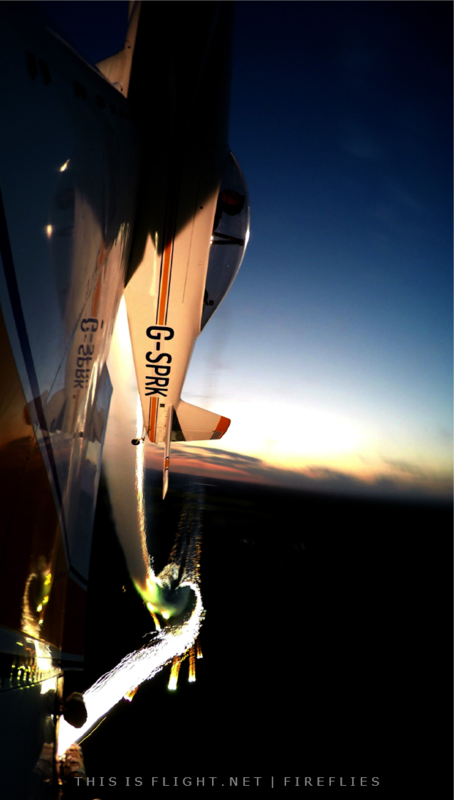 Jon’s long term ambition is to take part in the night display at EAA AirVenture Oshkosh in the USA. 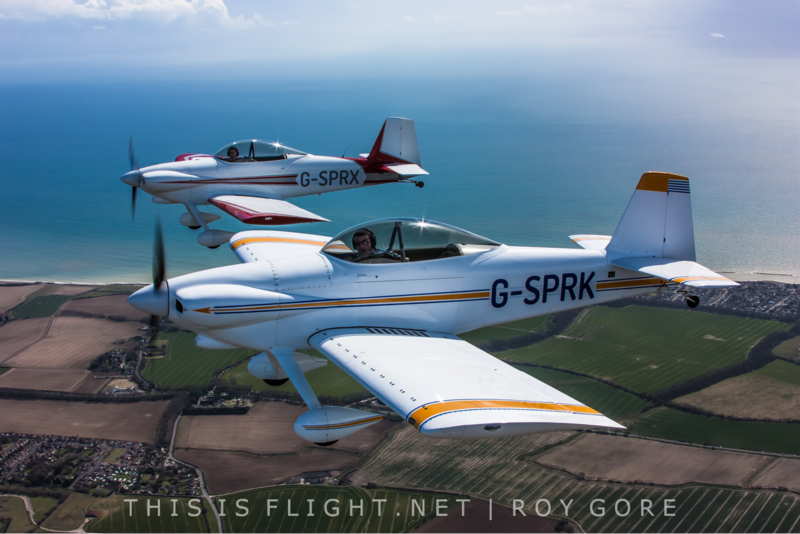 When I arrived on the morning of 10th April, I was greeted by both Jon & Andy who introduced me to their wonderful aircraft: a pair of kit-built Vans RV-4s. 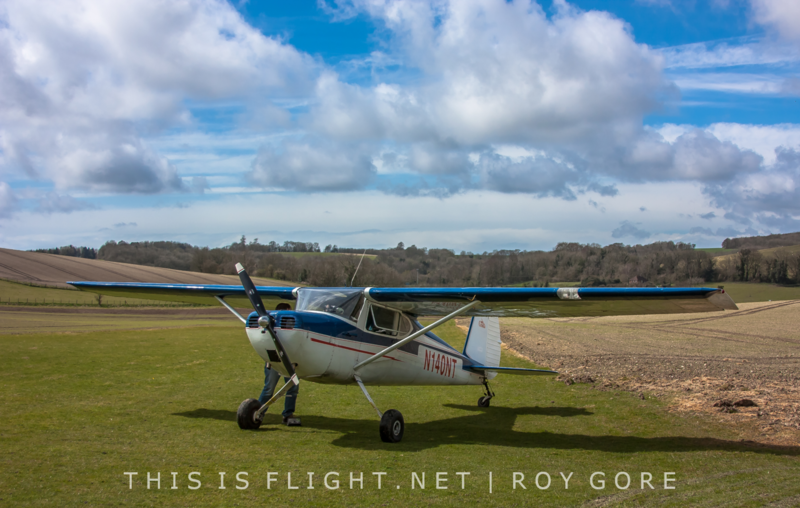 After a short discussion on how we wanted to run the day, I was introduced to the pilot who would be flying our Cessna 140 photo-ship during our air-to-air sortie. With the weather on our side for the time being, the decision was made that we should head up to the skies as soon as possible after the customary briefing on how we wanted the shoot to run, and most importantly the safety procedures should anything happen whilst we are in the air. 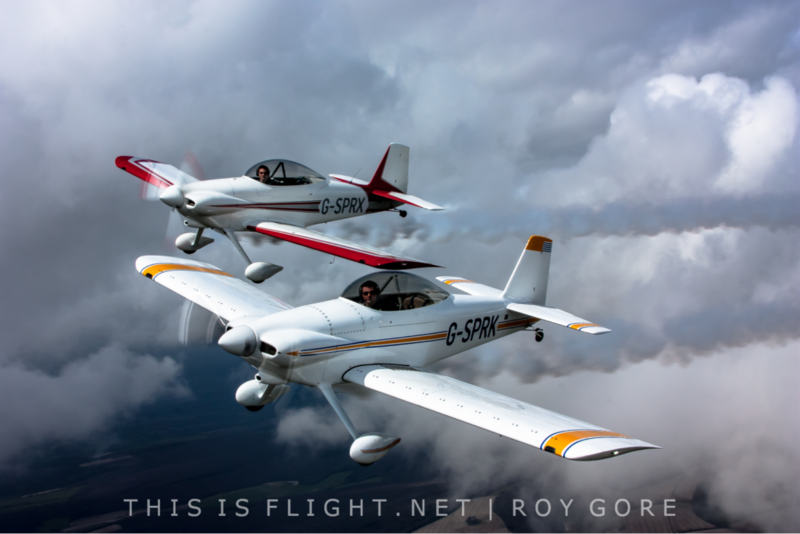 Will Greenwood, the photo-ship pilot and a trusted friend and pilot of Jon & Andy, adapted the Cessna 140 to allow me to get the photos in the air. I have to admit, it did get very windy up there! Once we had all taken off and headed for the designated location for the shoot, I began to take all the photos so that I could alter the settings for the later part of the photo shoot. After a few bumps and drops from turbulence we were well under way with the photo shoot. 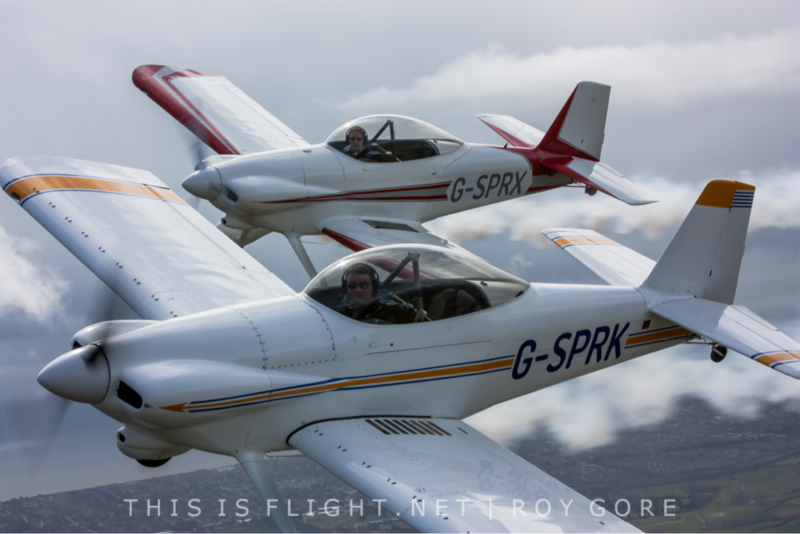 The superb skills of all three pilots Jon, Andy & Will were evident with tight formation flying helping me get the photos I was looking to capture. I can only thank them for their effort and skill in allowing me to photograph during that opportunity. Always in communication with the pilots, I was now in full swing of capturing the action in mid air, becoming more and more confident in the art of air-to-air photography. 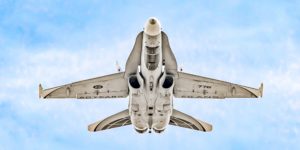 Those who have carried out an air-to-air sortie will understand just how different and difficult it is compared to taking photos on the ground. I wanted to utilise this opportunity and make the most of it by gaining as much experience as possible and producing some images the FireFlies could be really proud of. After almost an hour in the air, the clouds were beginning to darken and we headed home. 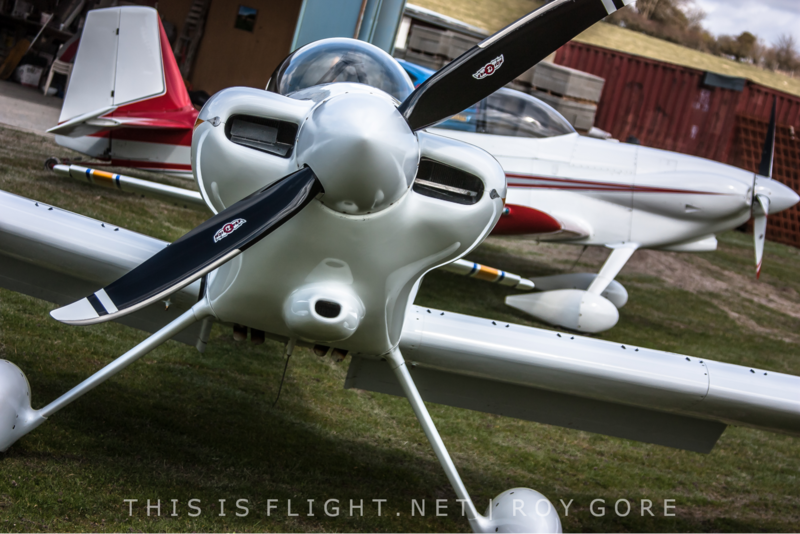 After landing I helped Jon & Andy put their RV-4s back in the hangar and we said goodbye to Will. It was now time for the interview and to give the lads the opportunity to tell us more in depth about themselves and about the FireFlies. I would just like to say a massive thank you to Jon & Andy for allowing me to come down and spend the day with you, and providing the material for this article. Also, a huge thank you to Will for taking the time to travel down for the day; without you it wouldn’t have happened and without your superb ability as a pilot and knowing what I wanted to capture it wouldn’t have worked. I can only thank you for this and for the opportunity you gave me. Hopefully one day we can all do it again, thank you. 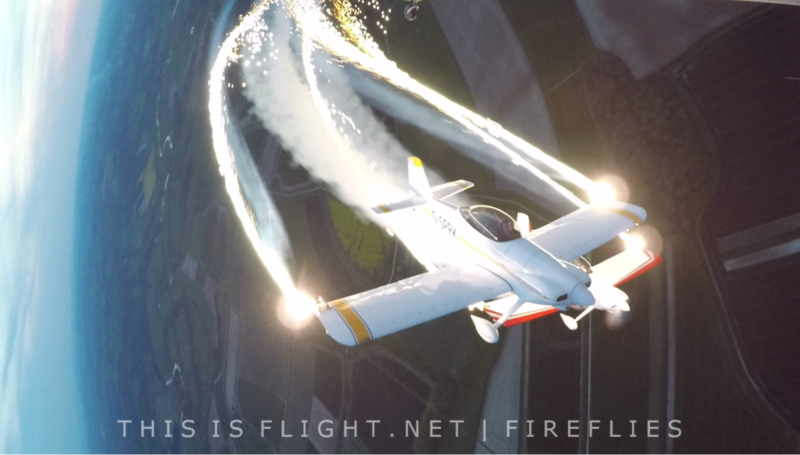 For more information about the team, visit their website, firefliesdisplays.com. Interviews and “Behind the Lens” are by Roy Gore, owner of Gore Photography. The main feature was written by editor Adam Landau. 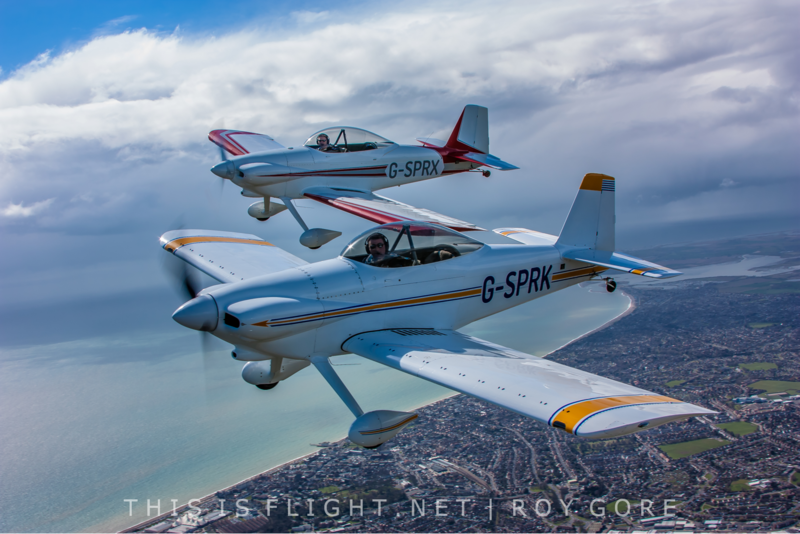 This is Flight wishes to thank Jon Gowdy and Andy Durston of the FireFlies and Will Greenwood for their kind assistance in preparing this article.